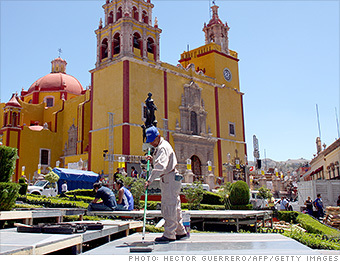 In Mexico, workers average 45 hours a week, the most of any industrialized nation. They work about 519 hours more than the typical American worker each year, only to earn less than a fifth of the pay. When the OECD ranks industrialized nations by education and work-life balance, Mexico comes out on the bottom in both cases. Only about a third of adults -- ages 25 to 64 -- have earned the equivalent of a high school diploma. There's also a huge gender gap in the job market. Whereas 78% of men have jobs, only about 43% of adult women work for pay.